Every color has three attributes: Hue, Value and Intensity. Once you can identify these attributes of a color, you can successfully mix it on your palette. First let’s define what these terms mean. The name of a color starts by identifying which of the twelve colors on the color wheel corresponds most closely to it, irregardless of how light or dark, or bright or dull it is. This is determined by how dark or light the color is. You can establish this by comparing it to a gray scale. There is one on the front side of a standard color wheel. There are other sources of gray scale to use, also, or you can create your own from the computer. 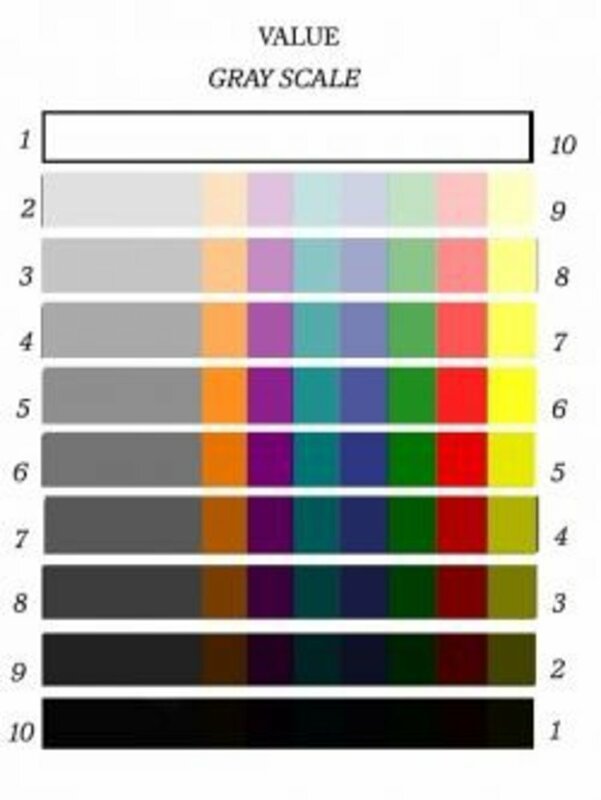 The key is to use the same scale for each color so you don’t get mixed readings. Some scales have #1 as white, while others have #1 as black.